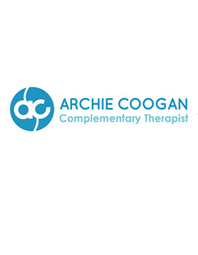 Archie Coogan is a Complementary Therapist with over 15 years’ experience offering professional alternative & holistic therapies in Belfast & around Northern Ireland. With a diverse client list that includes working with television & film production crews & professional athletes, Archie’s experience & professionalism has helped him build a diverse & loyal customer base from all walks of life. Archie highly values the working relationships he has with all of his clients – current, past & prospective. Therefore all information disclosed during consultation and/or during therapy sessions is always treated with the utmost strictest confidentiality. Archie Coogan has a genuine passion and down to earth approach while working with energies within the body and mind. His goal is to assist not only the physical, but also the emotional and spiritual levels to intuitively help people of all ages reach a place of serenity, harmony and a sense of peace within. By using a holistic and heart centred approach, Archie takes into account both the physical and emotional issues that are affecting your overall well-being and provides clients with ideas & techniques that can be taken away and used within their daily lives to help guide them towards their dreams, goals and true life purpose. To arrange a treatment with Archie, please feel free to get in touch by one of the options below.